If a girl could be so particular about hair details on a very ordinary day, then imagine just how she’d be extremely eager to find the perfect pretty wedding hairstyle for a perfect wedding day? Everything about the bride whose walking down the aisle would be noticeable by everyone present on the big day. Literally all eyes on her! That’s why if you’re going to be a bride or someone close to you is getting married soon,then I suggest you scroll down and see the lovely wedding hairstyles we’ve compiled just for you! 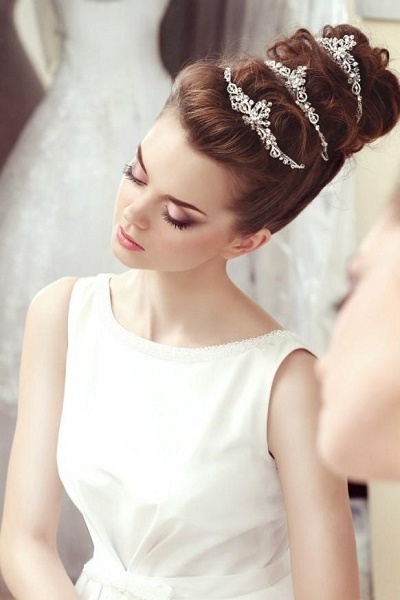 Usually, the hairstyle would depend on the wedding dress design particularly the neckline. It is also necessary to consider the hair type, hair length, face shape, the venue, the weather and the motif for you to be able to decide on which wedding hairstyle or wedding hair accessories would really suit every factor that’s been mentioned. Even in the Bible, hair has been mentioned with a great purpose. It is said, “but if a woman have long hair, it is a glory to her, for her hair is given to her as a covering.” So naturally, women are supposed to be covered, though it is mentioned as “long hair” doesn’t really mean that women with short hair are disregarded. Long hair means longer than the hair of men. Just saying, hair is not just a minor detail on a wedding day. Sure it’s going to do something great for you in the sight of the crowd and most especially in the sight of your beloved groom. Don’t dare to have an urgent or trial and error hair fixing because remember you’ll see it forever on you photographs and couldn’t turn back the time for a redo just in case your hair didn’t looked the way you want it to be. What do we suggest? Why not give the hairstyles below a try so you’d be able to decide the perfect one for you! 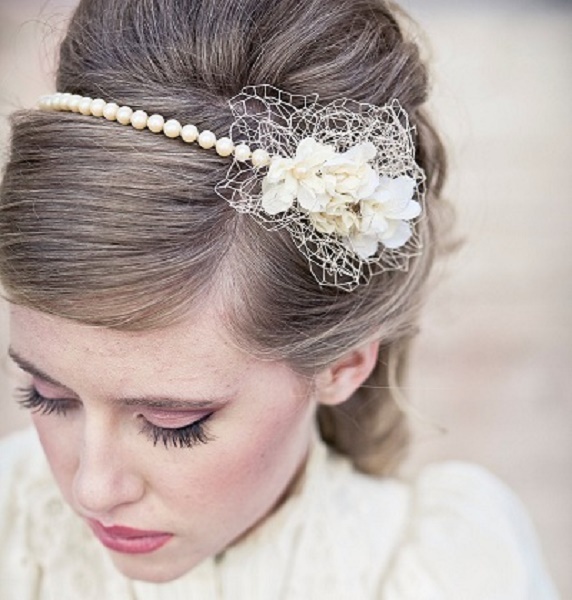 I know some brides-to-be had some make-up rehearsal, why not consider having a wedding hairstyle rehearsal too? With that, you’d have no regrets because you were able to try, evaluate and choose! 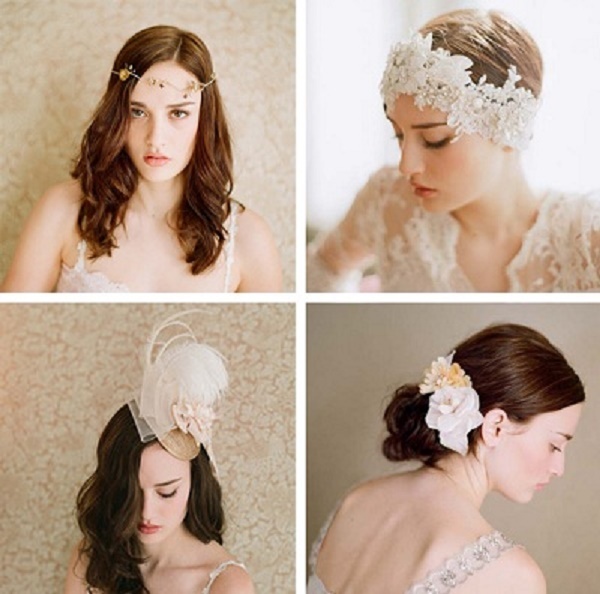 Now here are some lovely wedding hairstyles from different sources, combined into one awesome collection. 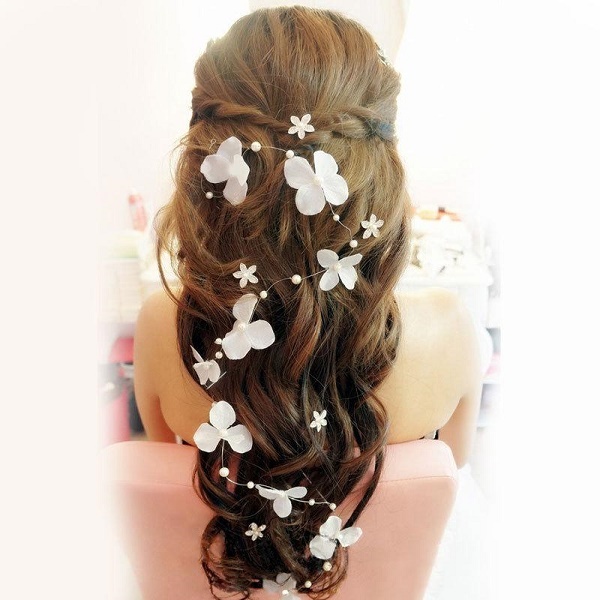 Whether it’s a wedding hairstyle for long hair, medium length hair, short hair and curly hair. 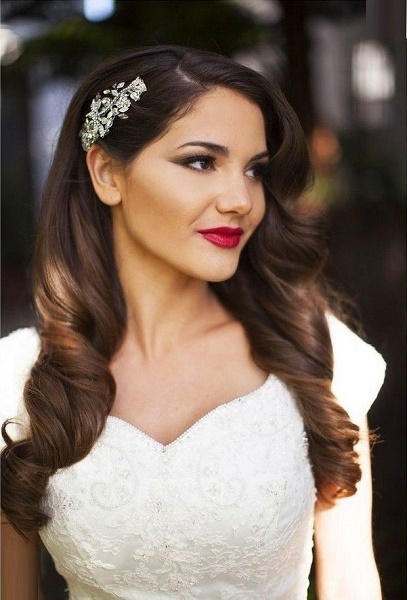 Maybe you’d consider wedding hairstyles with any of these accessories: with clips and pins, veils, flowers or tiara, bows or ribbons, headband, updos or half updos, braided and just in case you wanted a down hairstyle but with a twist. 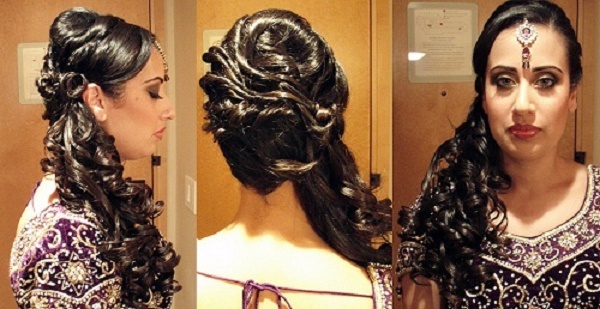 Enjoy browsing and be mesmerized of how this wedding hair ideas would look on you. 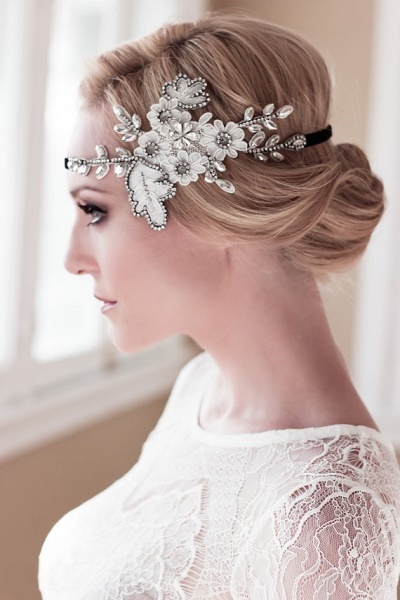 These are wedding hair pieces that makes the hair more attractive. Some are intentionally used for the purpose of pinning the hair together for the style. 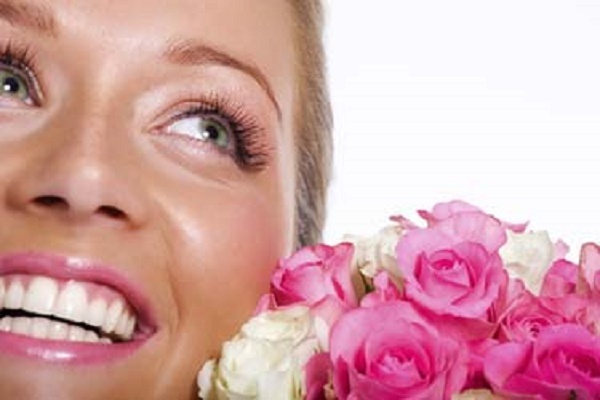 Any of these would surely add up to the bride’s beauty on her lovely wedding day. 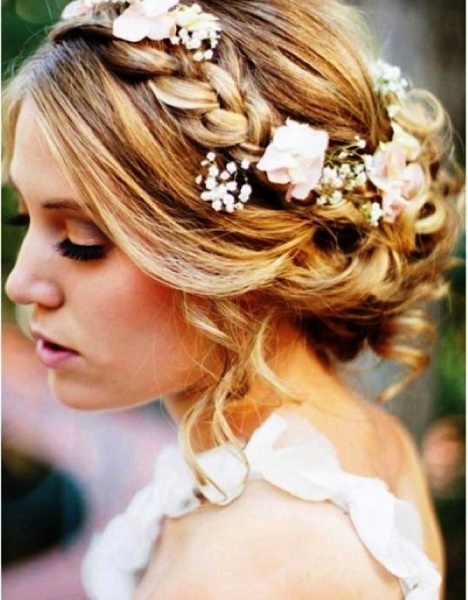 Now, let’s begin with the wedding hairstyles for long hair. Also, most of these are actually wedding hairstyles for curly hair too. I think being curly on a wedding day adds glamour and beauty! Before, the veil even covers the whole face of the bride and is usually exposed before the crowd and the groom for two reasons. One is when the priest announces them as husband and wife or the moment when the man can finally kiss his woman as married couple. The second reason of lifting the veil is by the father of the bride, before he hands his daughter to the groom. It’s a tradition of handover from the father’s care to the husband’s care. But just like in the photo below, veils nowadays are used just to cover the hair and for some just to look more fashionable. 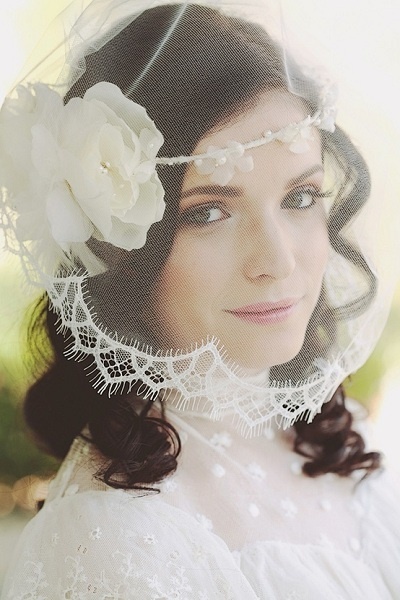 There’s a bunch of wedding veil styles today and here are few samples of them. While some bride-to-be worries that their beauty wouldn’t be exposed when wearing a veil, just look at these photos below that have confidently nailed being the prettiest bride of the day, even with their veil on! 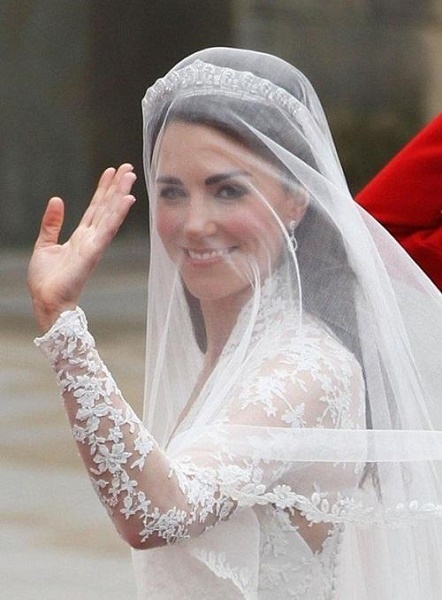 Kate Middleton wore a wedding veil that covered her entire face. The classic wedding veils were really long and are sometimes toe length. 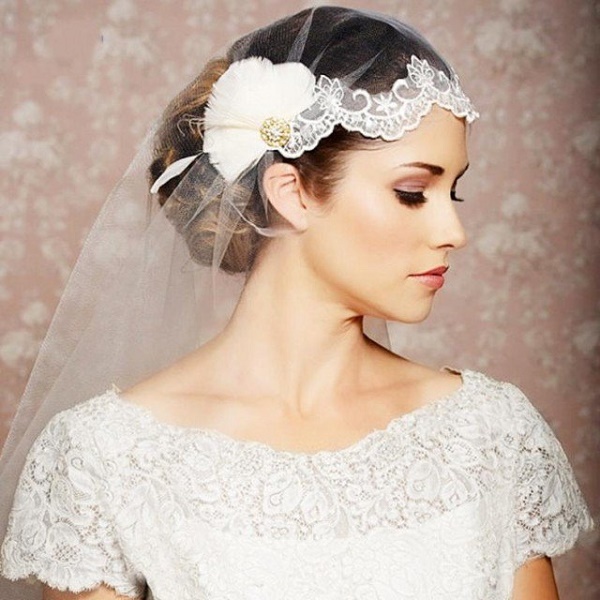 But today, some wedding veils are really short that could only cover the face or sometimes, just the eyes. Or more popular as Wedding veil fishnets! 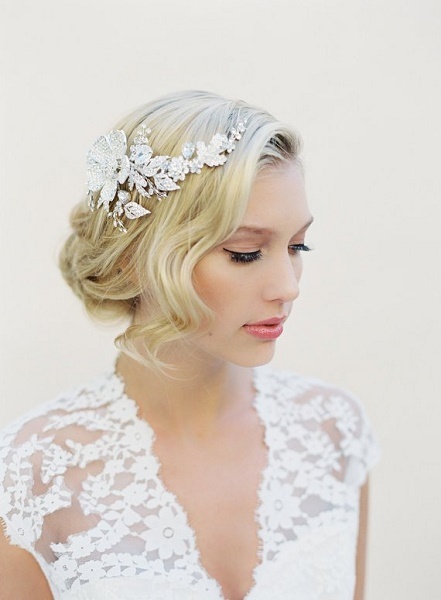 Wedding Tiara for a fairy-tale come true! 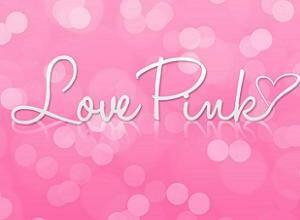 When a woman is getting married, it is said that she has found her prince! So, to make her a princess in real life would be adding a lovely bridal tiara on her wedding hairstyle. If you think you’re less pretty because you were not able to grow your hair longer, nope don’t worry dear. 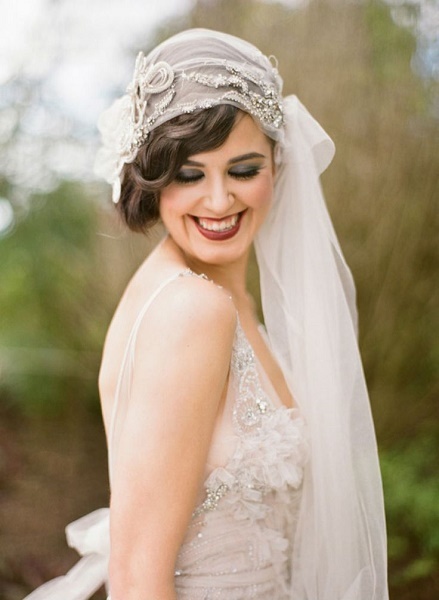 Here are some short hair wedding styles that you could choose from. 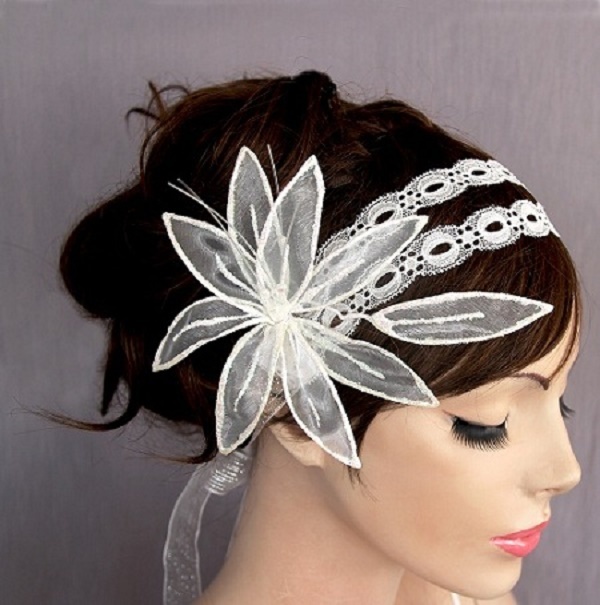 Aside from the wedding updos for short hair, notice that wedding hair accessories are even better for short hairs. Look closely and you will realize it’s not just an ordinary headband. 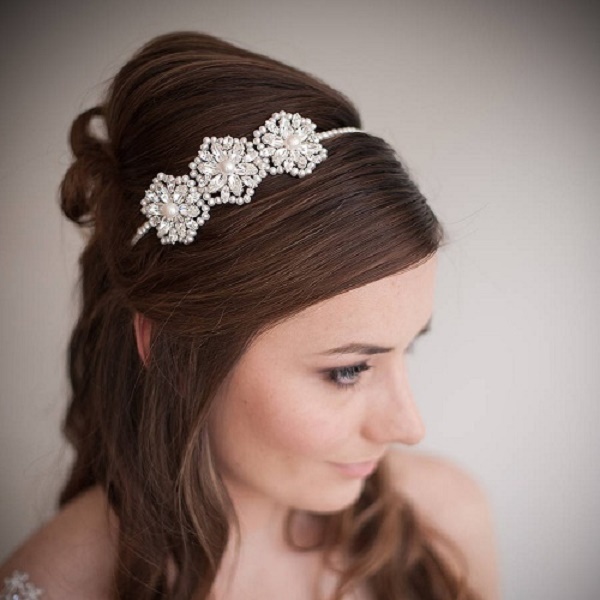 For wedding headbands, some are made up of bead works or floral designs but don’t underestimate! Some are even using expensive pearls, or diamonds and jewels. 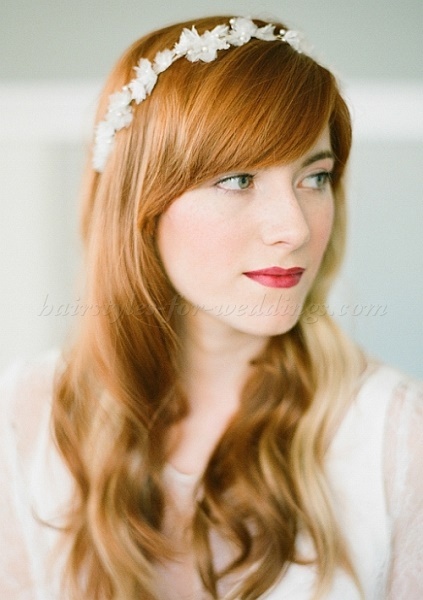 Like in the sample below, it’s an wedding hair half updos also known as half up half down. 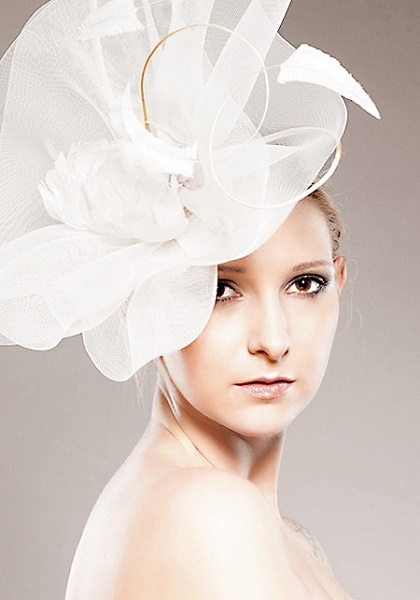 It’s your choice whether to use white flower or just follow the motif color. This sample below used a wedding flower accessories which are very popular for garden weddings. 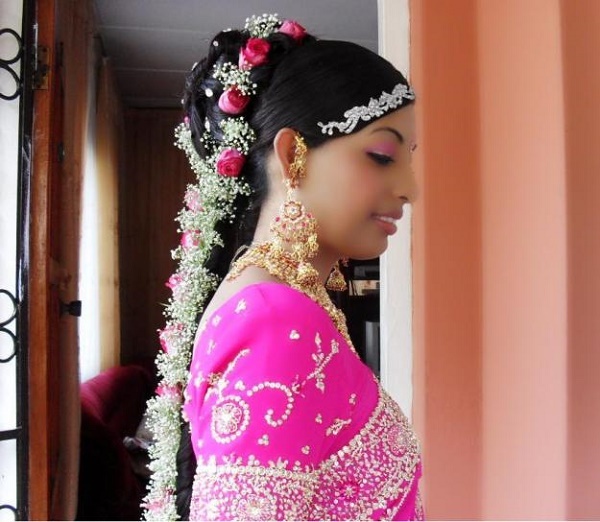 Some would use real flowers and some opt to use flower hairpins. This one is another wedding hair half updo or half up half down but using a wedding flower hair pins. 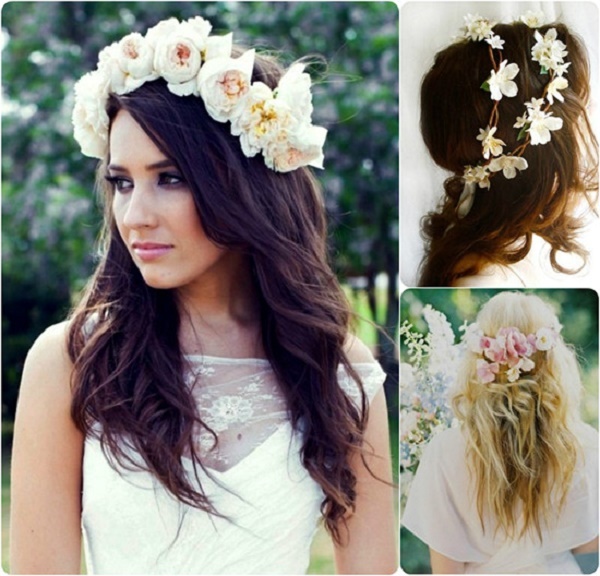 The gorgeous wedding hair flowers would also suit the wedding hair updos for long hair. I’d say this is one of the biggest wedding hair flower I’ve ever seen. Woah! 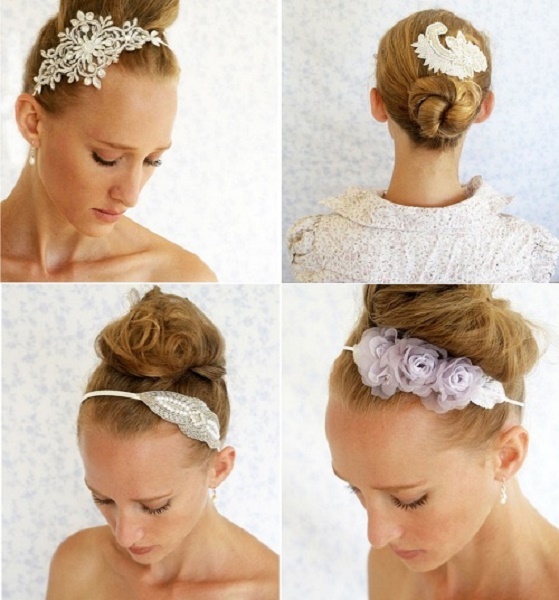 Consider using these lovely wedding hair clips or hair pins that will suit your hair very well! 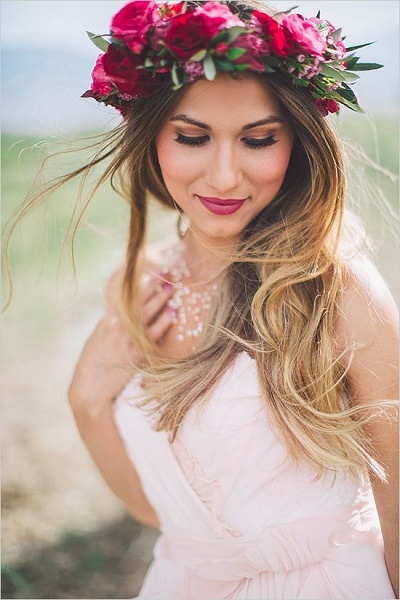 Usually, it’s flower designs, star designs, bow/ribbon designs and most of the time they are glittering hair pieces to make the bride shine brighter! 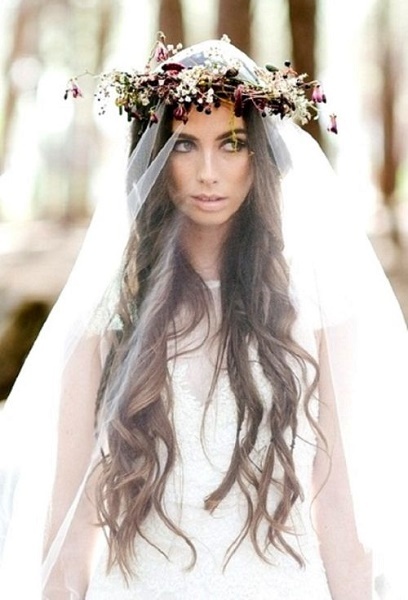 Some brides would just want beautiful wedding hair down hairstyles. Well, I may say every bride would really look wonderful is she’s gonna a wear a lovely bright smile like in the photos below. They look like goddesses right? Aren’t these lovely? 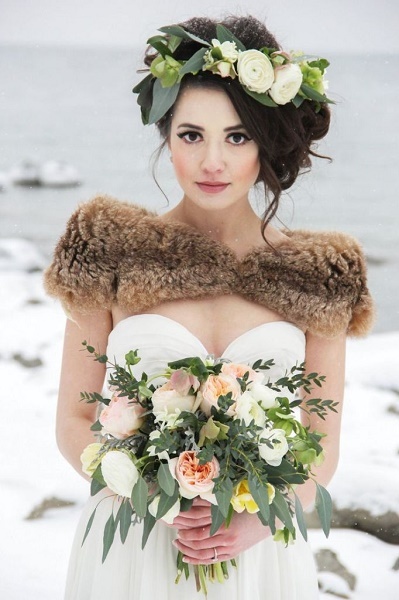 Well, I honestly don’t have talent for this, but I bet your hair and make up stylist can do this for your wedding day! Even braiding itself has different styles too! So most probably, when you’re planning to have your hair braided it means you’re not gonna wear a veil. Why? Because obviously it’s useful to fix it this way when it’s not going to be exposed anyway right? 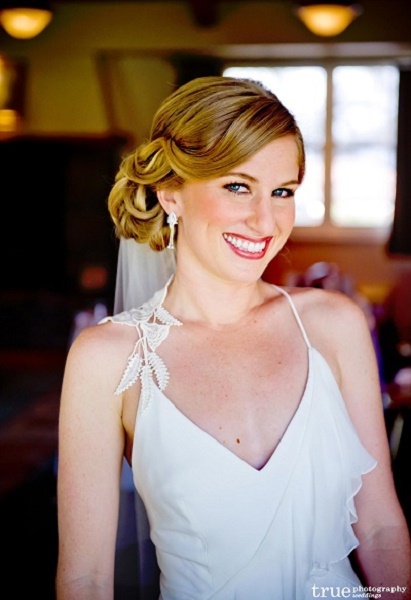 Some find it sexier to have their hair on side ponytail and add some wedding hair pieces to make it look perfect. In case you’re going to have a vintage wedding motif, then here are some nice samples. Classic look never fades that even in the modern times, this motif is never forgotten. If you’re on an outdoor wedding like by the beach or on highlands where it is expected to be windy, I know you don’t wanna ruin your pictures because your hair is covering your face the whole time right? 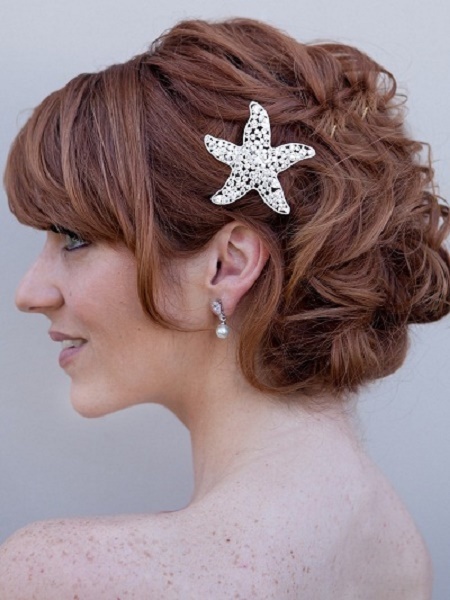 So here are some nice beach wedding hairstyles or for outdoor too that would suit your venue! 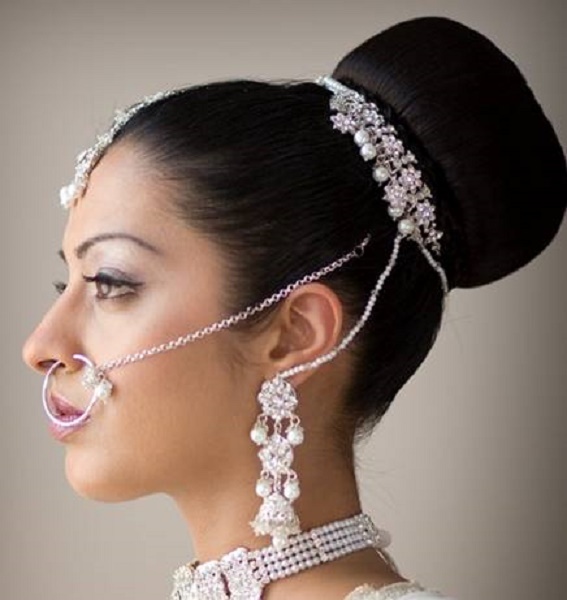 I do admire the Indian wedding dresses, so of course I’ve checked the Indian wedding hairstyle and was amazed even more. Geee, they’ve got lovely ways to fix their hair! Got even unique style of adding the wedding hair pieces. Here are few samples of them! 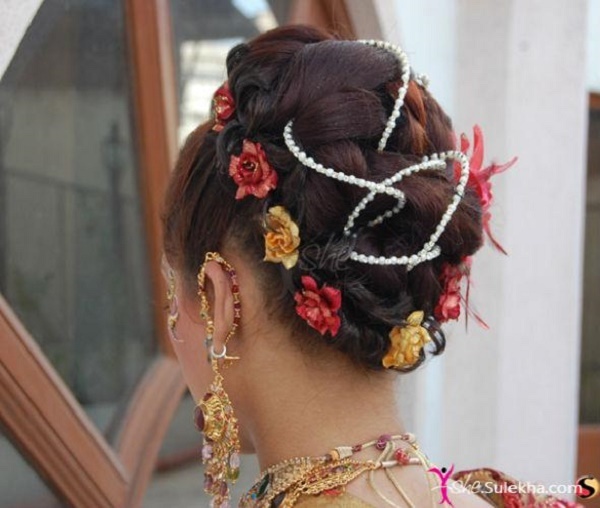 If you don’t have budget for a hairstylist, believe me there’s a lot of DIY wedding hairstyles out there! Yup, do it yourself hair tutorials are available for free especially on Youtube. 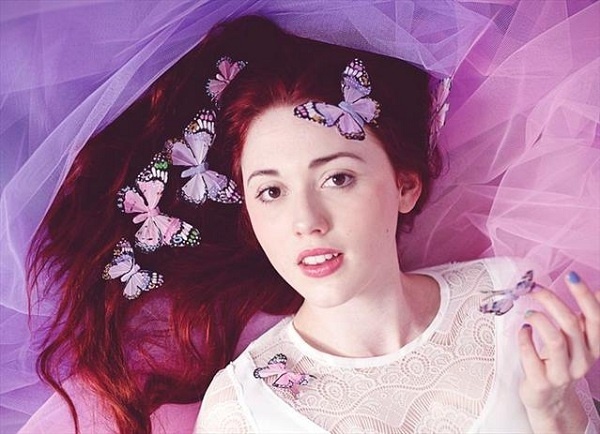 Many talented hairstylists are generous enough to share their videos. Here’s one of the easiest to follow. 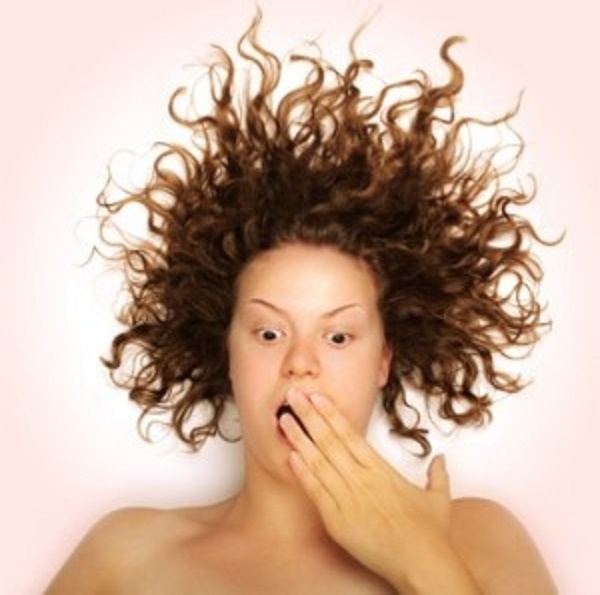 Sure with all of the samples above, you have all the time to decide your dream wedding hairstyle. Whatever it is that you’re gonna use on your wedding day, please remember a woman is not well-dressed unless she wears a smile. No matter what, that smile will attract people and especially your groom, more than how your wedding dress, make up and hair would do. So be you, be happy and be beautiful! Congratulations and best wishes in advance!